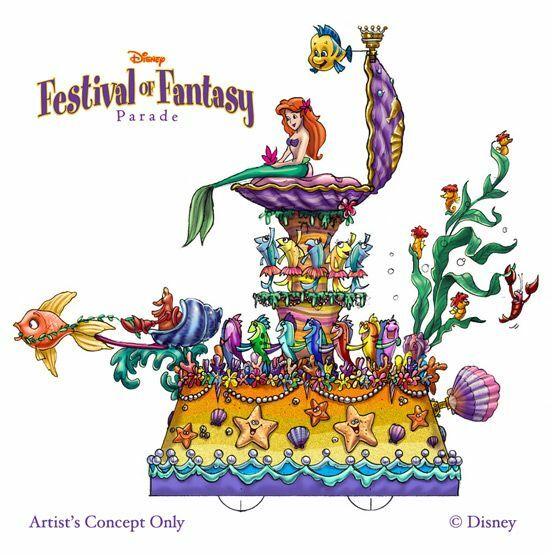 Earlier this year, Disney announced that the Celebrate A Dream Come True Parade at Magic Kingdom would be replaced by the upcoming Disney Festival of Fantasy Parade. 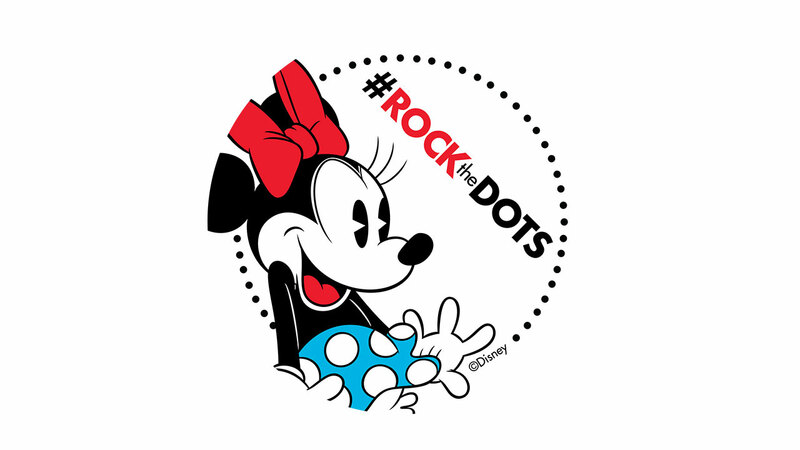 More details have trickled out today via the Disney Parks Blog. As I previously mentioned in another post, the Celebrate the Magic Parade comes to an end after its performance on December 20. Throughout the holidays, Mickey’s Once Upon a Christmastime Parade will be shown daily. Then the Celebrate A Dream Come True Parade will have a couple of special finale performances scheduled from January 1-4. After January 4, 2014, there will not be traditional afternoon parade at Magic Kingdom until the Disney Festival of Fantasy parade officially debuts in the spring of 2014 (no exact date as of yet), but guests will still be able to enjoy the Move It, Shake It Celebrate It Street Party and the Main Street Electrical Parade. So wish this was happening in early February. 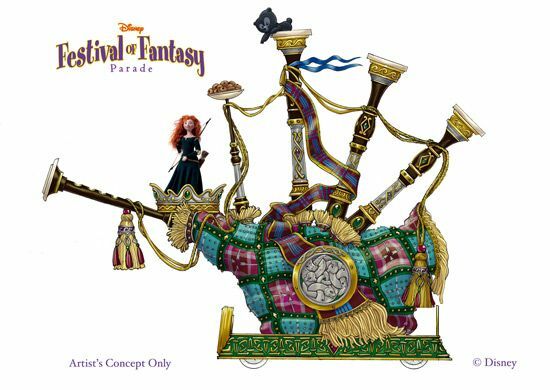 I love Merida and would love to have seen this float! !